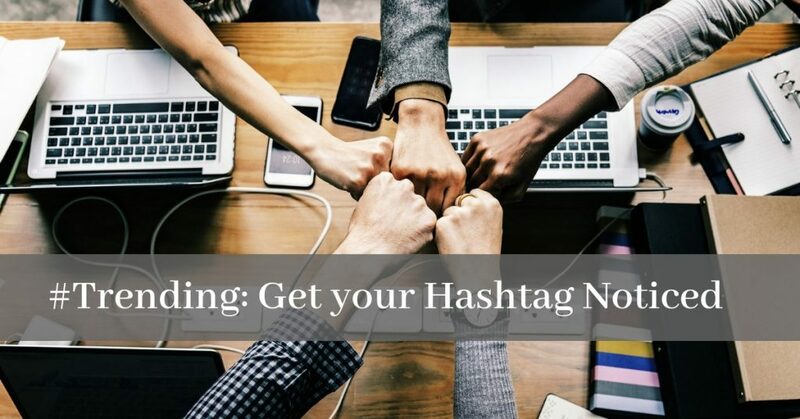 #Trending: Get your Hashtag Noticed in 3 Simple Steps! Planning and hosting a successful event can be very rewarding, but to get the event trending on Twitter would be the cherry on the cake! As a Digital Media student, enthusiast and active tweeter, I understand too well the effort and drama involved with getting noticed online. In January 2018 in GMIT Mayo, an event called DigitalWest was hosted by lecturers from the college with help from BSc. Digital Media & Society students. The event ran for four hours. Within that time frame the hashtag #DigitalWest managed to gain 343,676 impressions and trended in 4th place on Twitter. Impressive, right? Digital West focused on emerging trends in Digital Media and how they will affect companies and individuals in 2018 and beyond. The event was extremely popular with local business owners, digital professionals, influencers and students. What made this event extra special was the live stream, and was watched live by people all over the country including secondary schools in rural areas and colleges in other counties. Let’s keep it simple. As discussed early one of the important things to do, after choosing an appropriate hashtag, is to let twitter know you are here and you mean business. Step 1: Get the conversation started. #DigitalWest was chosen and used at the very start of the planning process, it had been used on the website and in blogs posted about the event. Tweets were trickled out and all tweets about us were actively engaged with – likes, retweets and replies. The evening before, tweets went out to build up some excitement – including “Hands up – Who is joining in with #DigitalWest tomorrow.” This tweet included the twitter handles of the guest speakers – who as you would expect have a big twitter following. This tweet sparked plenty of engagement as people were excited about attending which kept the conversation running all evening. Step 2: Make it easy for the tweeters! The day of the event we made it super easy for the audience to tweet and use the hashtag. In the room where the event was held, #DigitalWest signs were placed around the room and the audience were encouraged to tweet and join in the conversation. Let’s go back to the point made by FORBES – use influencers to give you hashtag a good push. The event was full of Digital Media Influencers, including the guest speakers. These guys were tweeting about the event and also engaging with tweets coming from other attendees and not to mention the any tweets from people tuning in live outside the college. A twitter corner was set up in the room of the event, myself and my lecturer were fixed to our laptops and mobiles, engaging and tweeting the live action, telling people who were following the conversation on twitter what was happening. Between each speaker, pre-made images with the guest speakers twitter handle and again the hashtags were pushed out which visibly showed the hashtag again and encouraged them to join the conversation. The conversation was constant and built up momentum very quickly. The event started at 9.15am and by 12.30pm I was delighted to report live from the Twitter Corner that #DigitalWest was trending at 4th place. Remember to keep it simple and get prepared. Choose a suitable hashtag and get the conversation started. Shout about it! Use an influencer and active tweeters to give your hashtag a shout out. Use the hashtag on all other social media platforms and include it in blogs and websites. Be visual! Make it easy for attendees and followers to use the hashtag, place it visually in front of them. Finally, be active, let no tweet fly by – retweet, like and reply…constantly! If you enjoyed this article, give it a share! Louise McDonnell is a 4th year BSc. (Hons) Digital Media and Society Student who has built up and extensive work portfolio, working alongside many digital influencers, including Facebook guru and author Louise McDonnell. She has been an active member of the Digital Marketing in Mayo committee promoting events with Google, Amazon and the RTE Concert Orchestra. You will find Louise bringing you live action from many local events and is currently the Digital Marketing Executive for the Horkans Group. Previous: Previous post: Is There No More Place for 2D Animation in Hollywood? Aw, this was a very nice post. Taking a few minutes and actual effort to create a good article… but what can I say… I put things off a lot and don’t seem to get anything done.